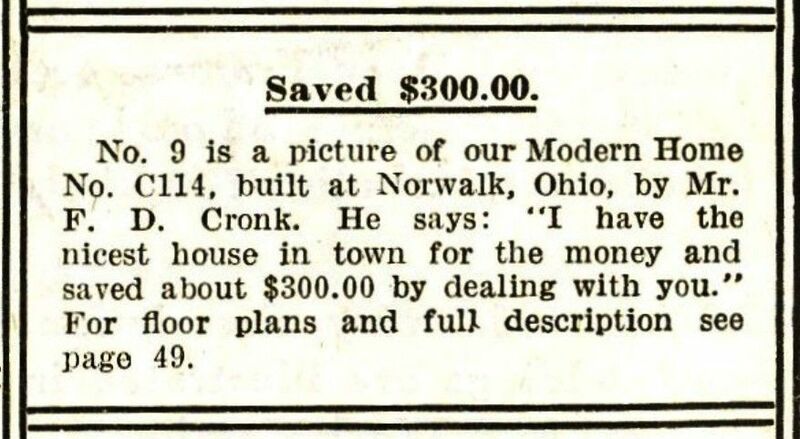 Sears offered two models called “The Concord.” The “old” Concord appeared in Sears first “Modern Homes Catalog” (in 1908), and remained in the catalog until at least 1918. 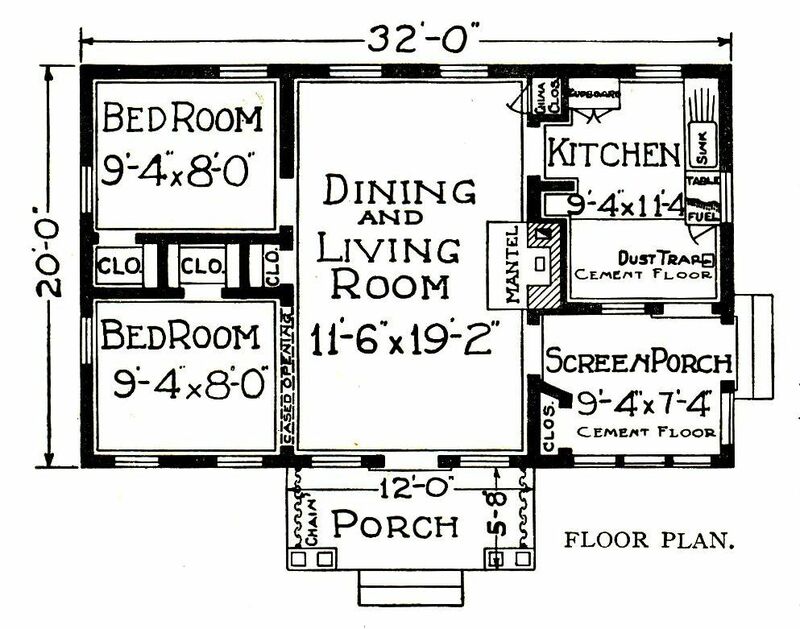 In 1918, Sears Modern Homes were - for the first time - identified primarily by name, instead of number. 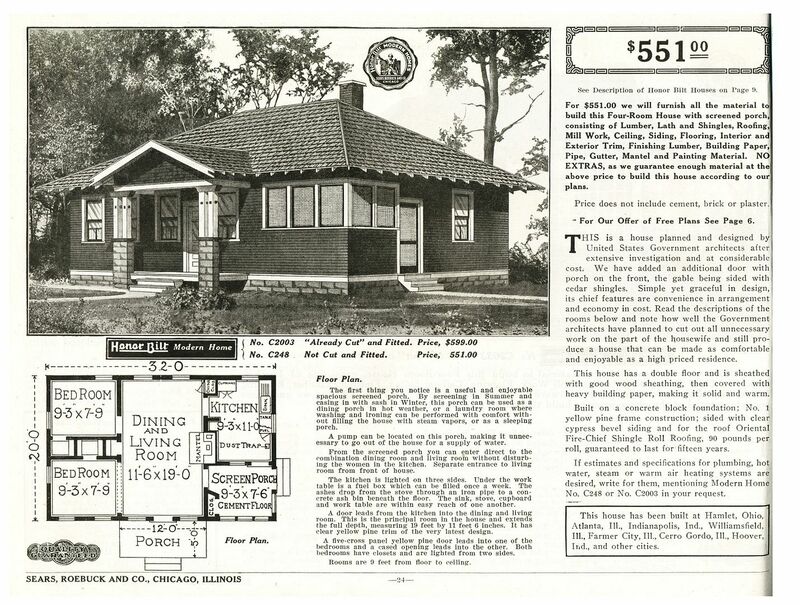 After all, would you rather have a Sears Modern Home #2049 or a Sears Magnolia? Same house, different words. 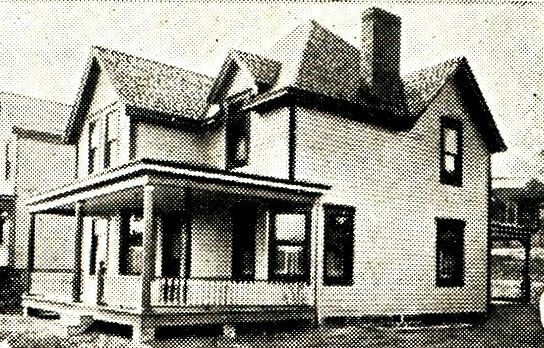 The “new” Concord was a post 1930s house, and you can read about it here. 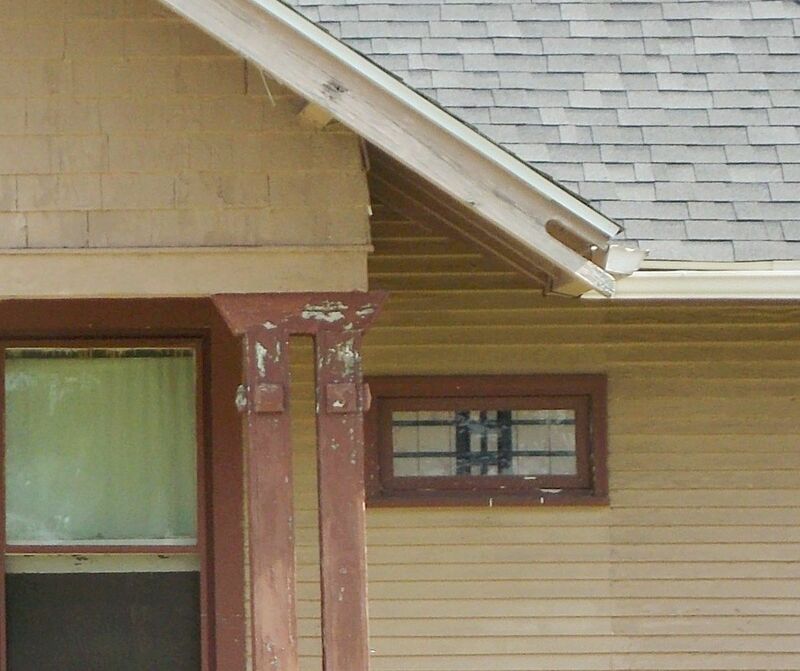 Judging from the testimonials, the (old) Concord was a fairly popular house, and yet in my travels, I’ve only seen one. 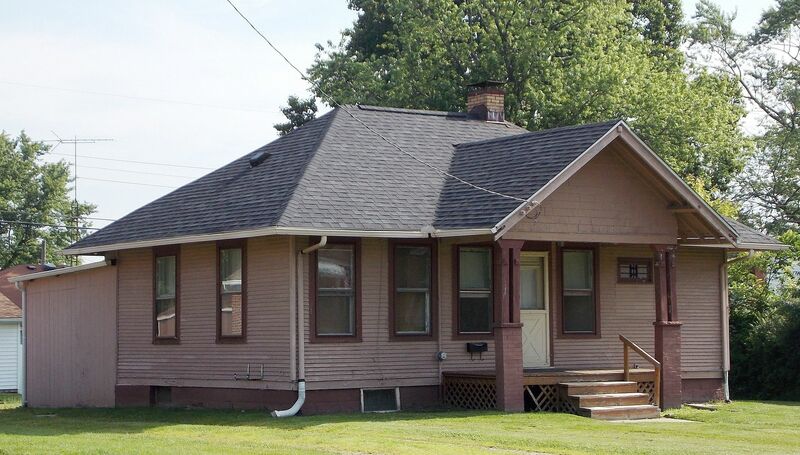 There are a lot of “look-alikes” to the Sears Concord, but most of them have a side-gabled roof, whereas the Sears Concord has a hipped roof. 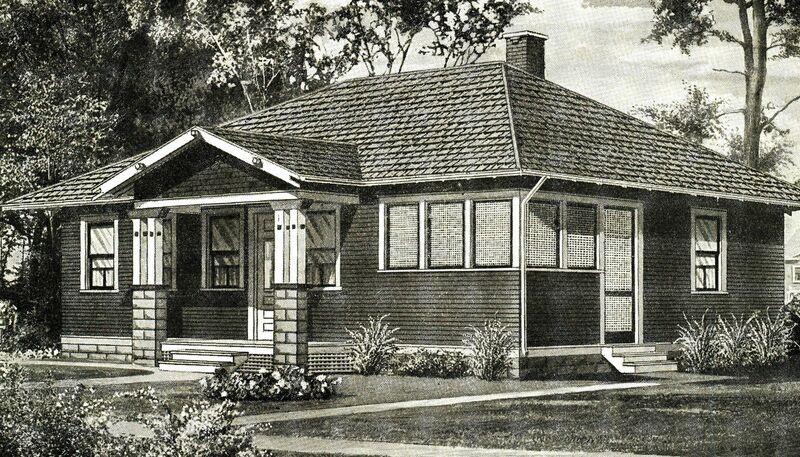 To see Rose’s latest book on Sears Homes, click here. 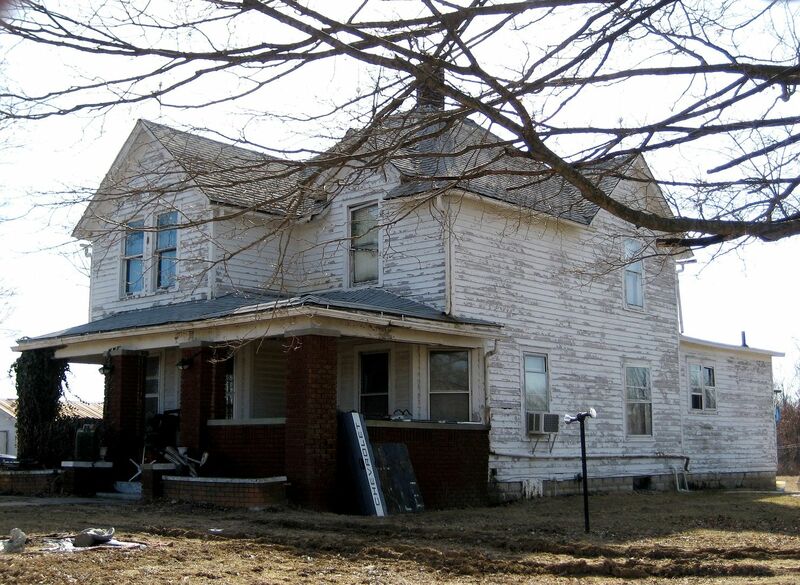 To read about a family that dearly loves (and appreciates) their Sears Concord, click here. 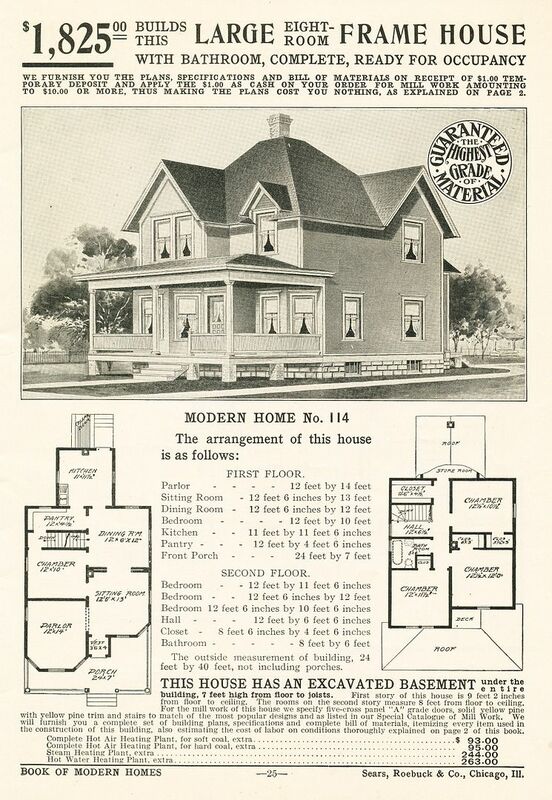 The Concord appeared in the very first Sears Modern Home catalog (1908). 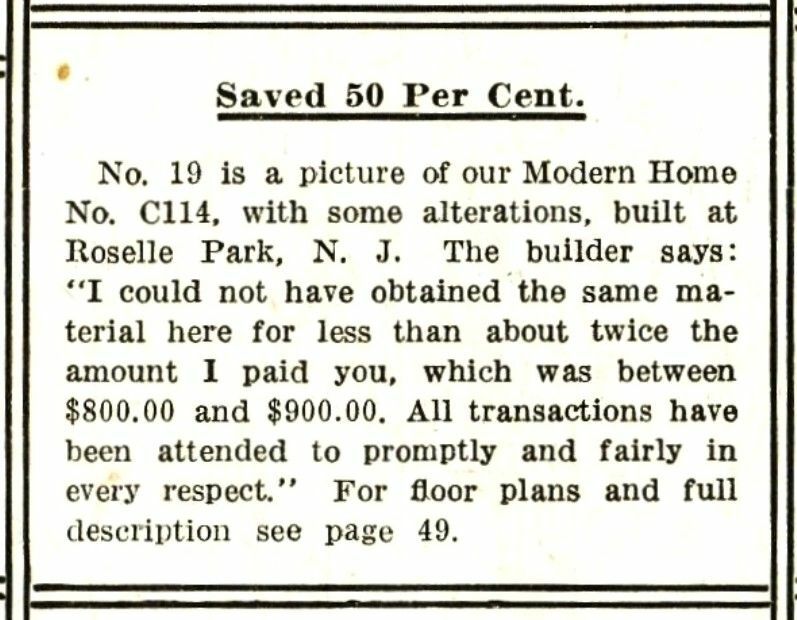 By 1916, the house had become a real favorite, and of the 20 testimonials that appeared on the back page of the 1916 catalog, three of them were written by people who'd purchased the Sears Concord. This Concord was built by George E. Twiggar of Ossining, NY. 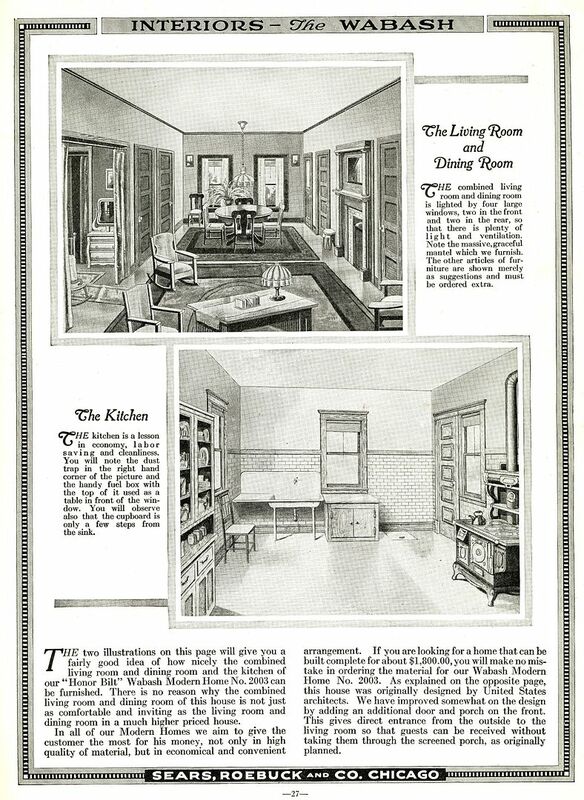 Here's the text that accompanied the image (above). 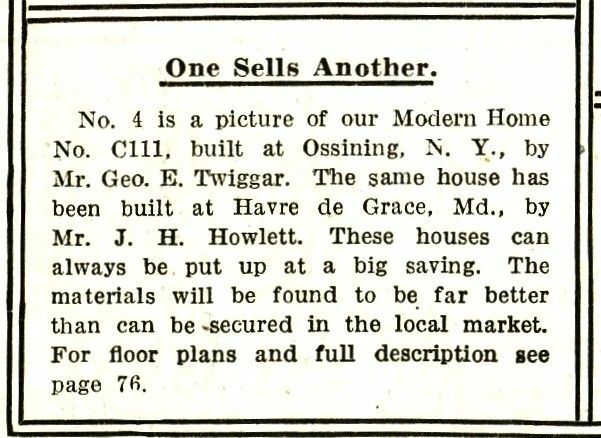 Note, there's also built at Havre de Grace, MD by Mr. J. H. Howlett. 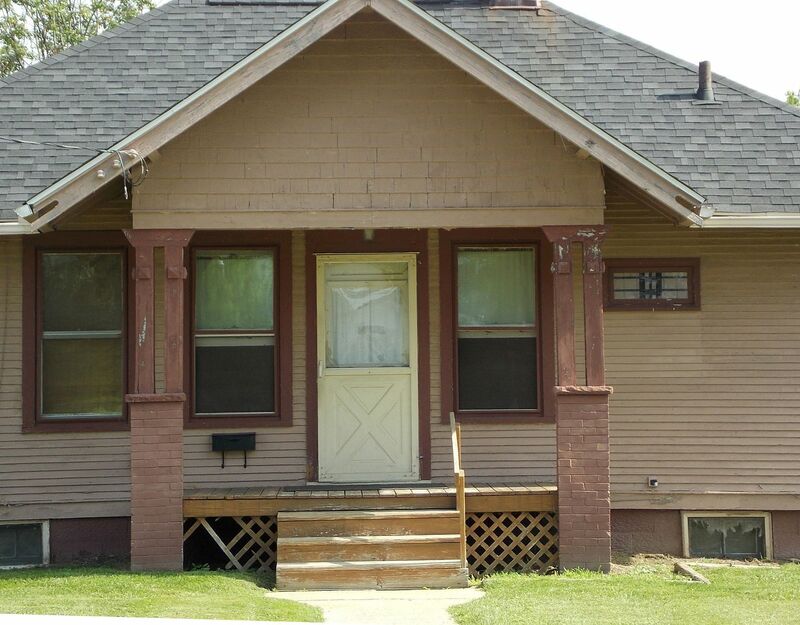 This Concord (also known as C114) was built in Roselle Park, NJ. It's a shame they didn't include a name here. 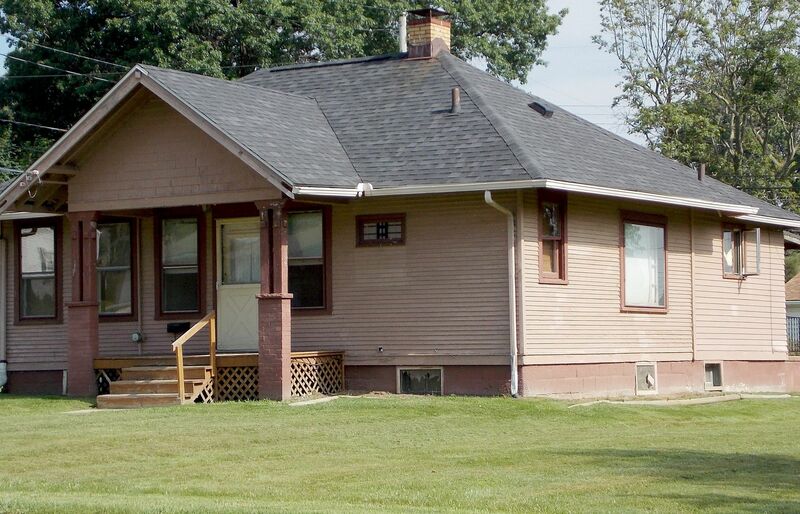 Either these were very fast-growing trees, or he didn't send his snapshot to Sears until years after the house was finished. It's in Norwalk, Ohio. 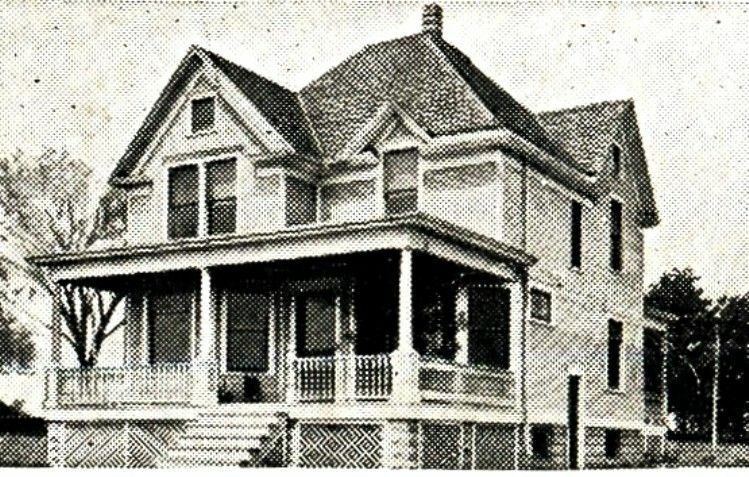 "The nicest house in town!" This Concord is looking a little rough. It's in Carrollton, IL. 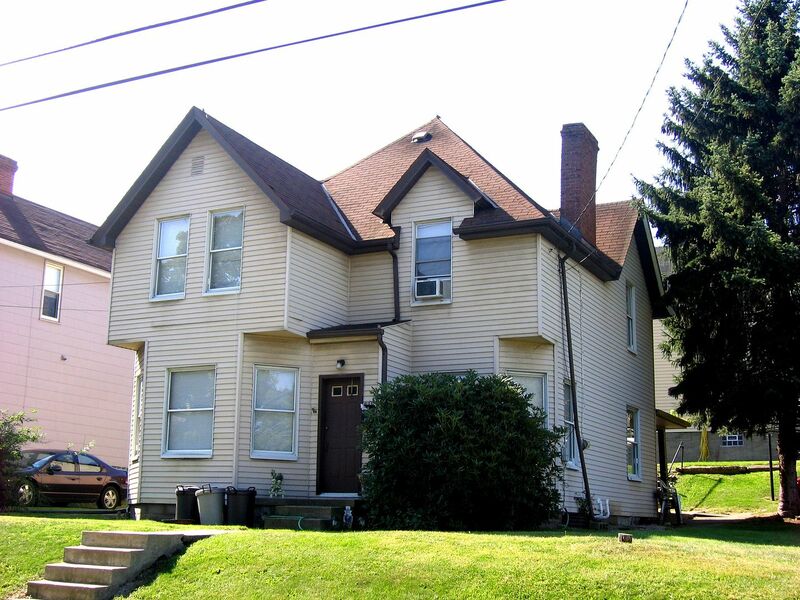 Concord (sans porch) in Monongahela, PA. Photo is copyright 2010 Dale Patrick Wolicki and may not be used or reproduced without written permission. But wait, there's more! 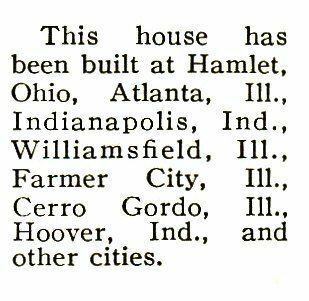 According to the 1916 Sears catalog, the Concord was also built in these cities. 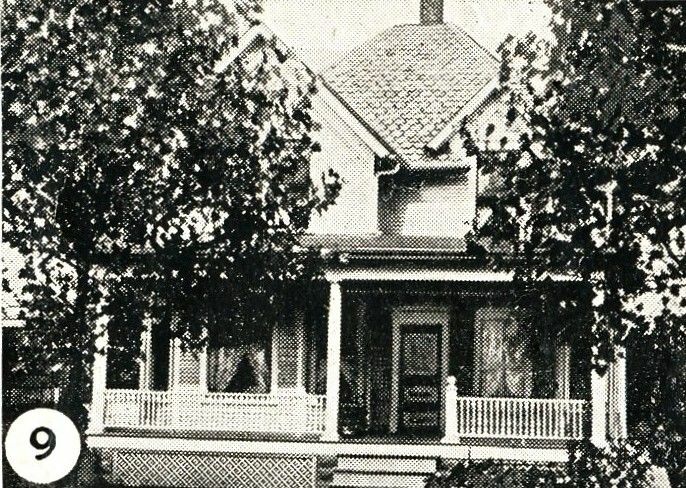 As mentioned above, this was apparently a popular house. 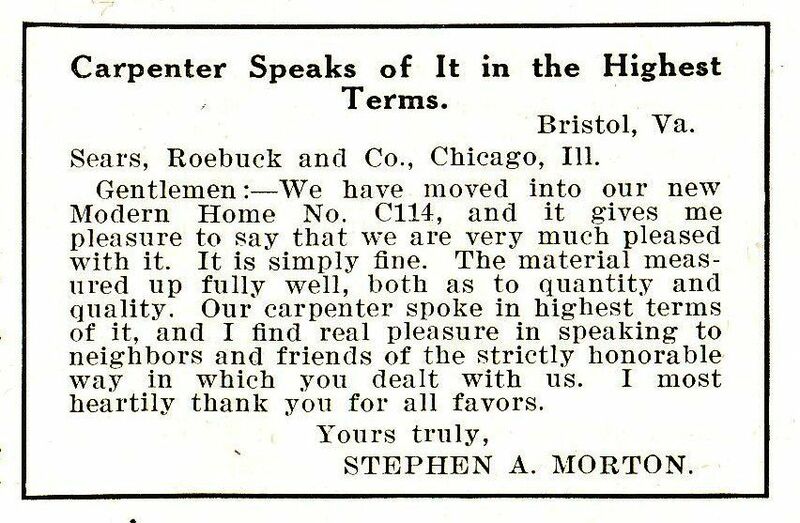 And Mr. Morton built a Sears Concord in Bristol, Virginia, which is about seven hours from my home in Norfolk. Still, I'll have to go check it out some time. To read about the other Concord, click right here.